Up for preorder now at Sideshow Collectibles is one of the most accessory-laden 12-inch Star Wars figures to date! 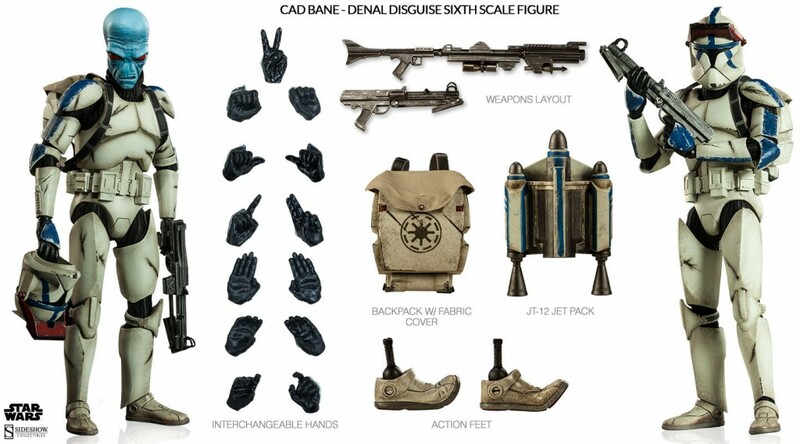 From the Clone Wars series you can now order Cad Bane in Denal Disguise! From the Season 2 Clone Wars episode “Cargo of Doom” Cad Bane donned the clone armor to infiltrate Anakin Skywalker’s ship. Now you can have this variant of the blue Duros bounty hunter. But more than just swappable heads on the figure, this set comes with 13 different interchangable hands, action feet, two blasters, plus two different backpack types. And if you hurry and order the exclusive version you also get a special Clone Denal themed figure stand. 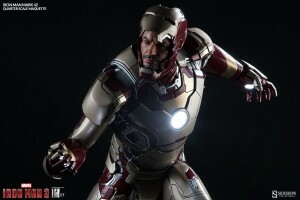 This is up for order now at Sideshow’s site. So get yours while you can!